So, you've captured the joy of creating a bump, color, specular and opacity map in one fell swoop and now you would like to apply those maps to your model to create the most incredible rendering your customer/client/boss/wife has ever laid eyes upon. 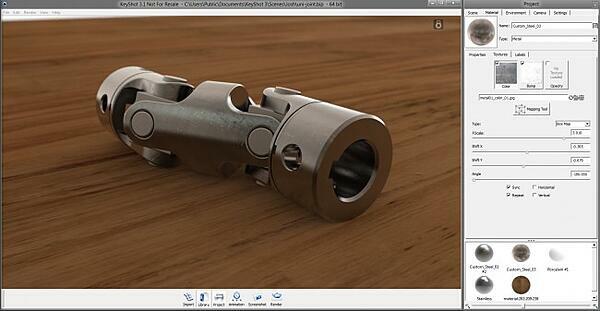 It's extremely easy to do inside KeyShot. Once you have your textures created, it's only a matter of applying them to the model and adjusting the mapping. Here's how to do it. Now, you have your model, you have your maps. It's time to introduce them to each other. 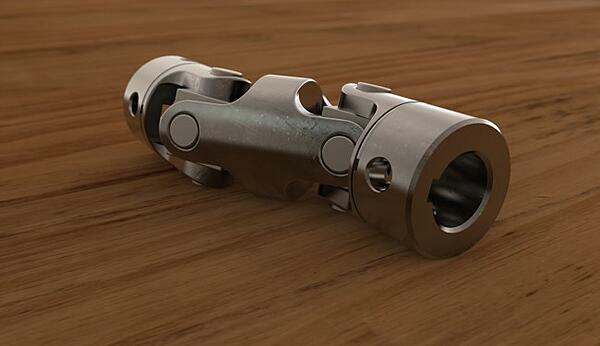 For this example, I'm using a Universal Joint created by Ahmad Alatas over at GrabCAD. One note before you get started. KeyShot will import all the assembly and parts, retaining the structure. 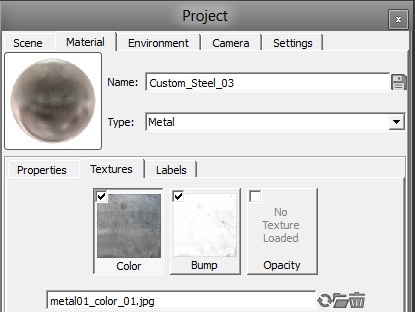 If, however, you want faces on the same part to have a different texture/appearance, simply make those faces a different color in the 3D modeling application. Import. Done. Set. Time to apply some textures. As you know, applying materials is just a drag and drop from the Material Library. Go ahead and apply the material you would like to use - something close to what you part is made of. 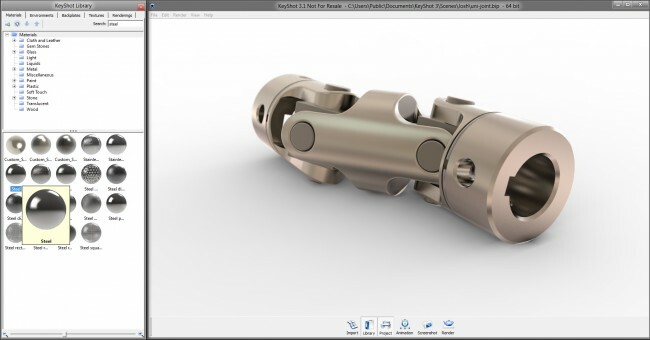 In this case, we're applying the standard steel material to all the parts on the Universal joint, making some slight adjustment to the color. Double-click on one of the parts you want to apply the textures to. Select the Textures tab. 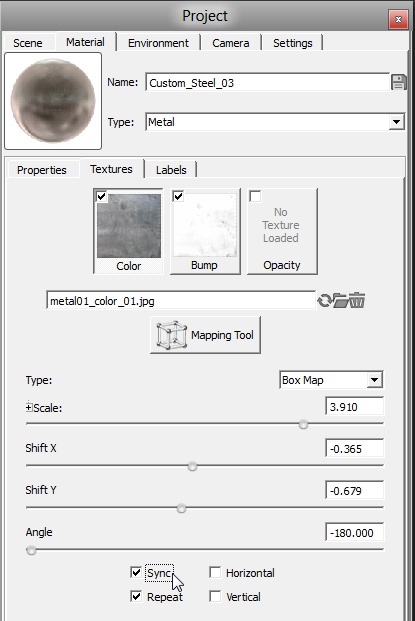 For metals, you have the choice of adding a Color Map, Bump Map and/or Opacity Map. Double-click on Color Map and select the image you created to use as a color map. Do the same for the Bump Map. Before you go any further, you want to select the 'Sync' options - really important. This keeps all the maps lined up with each other when you start scaling, shifting and moving them about. Planar X - Texture displays normal against any surface on the X axis and stretched across surfaces on any other axis. Planar Y - Texture displays normal against any surface on the Y axis and stretched across surfaces on any other axis. 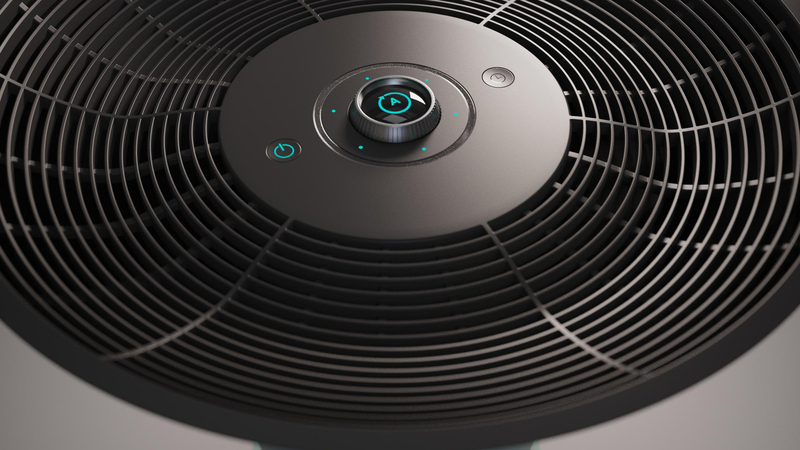 Planar Z - Texture displays normal against any surface on the Z axis and stretched across surfaces on any other axis. Box Map - Texture displays normal from both directions on the X, Y and Z axis. Seams may be visible where they meet. UV Coordinates - Textures displays as if projected on flattened 3D geometry. These maps are typically created with UV Mapping tools. Spherical - Textures display as if projected from a sphere. Cylindrical - Textures display as if projected from a cylinder. Generally, Box Map will work in most cases. Once you've got your texture applied, mapping set and camera locked it's time to fine-tune lighting and material. This, of course, leaves a lot to personal taste. While changing settings, it's always a good idea to look at the value you had before adjusting, just in case you want to change it back. If you like one appearance and what to try some others, just save out a copy and carry on with the tweaking. Here's a shot of the final rendering. You can also download the universal joint .ksp file to play around with yourself. 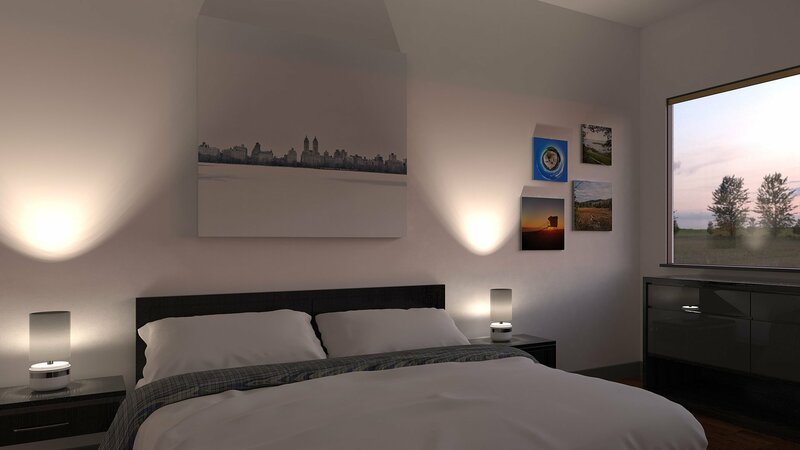 It comes with all the textures, materials and the HDRI used in the rendering.